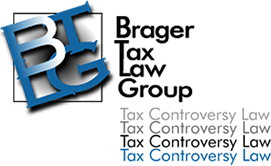 Our criminal tax attorneys know that criminal tax cases are different than other types of tax problems. Criminal tax cases can result not only in large tax debts (including a 75% civil fraud penalty ), but more importantly, years in jail. Of course there are the collateral consequences of a criminal tax conviction. These include loss of professional licenses to practice law, medicine, or accounting. Your right to vote will be stripped, as well as your right to bear arms. And there is a good chance of loss of employment. If you are not a citizen, but a legal resident alien, i.e. a green card holder chances are that after you serve your time in jail you will be deported. The goal of our criminal tax attorneys to mitigate these possibilities before it’s too late. I had a tax audit 10 years ago, and the IRS didn’t say what I was doing anything wrong. Generally speaking these are excuses, not defenses to criminal tax charges. The other problem is that any statements made to IRS special agents will be carefully written down. If the statements are not 100% accurate they will be thrown back in the face of the defendant (yes now you have become a defendant), as evidence that he lied to the IRS, and used as further proof of guilt. 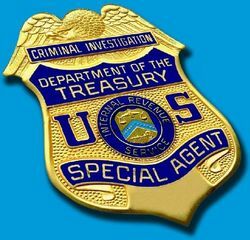 If you are contacted by an IRS special agent just remember that the best thing you can say is that you are not ready to speak with him. The next thing to do is immediately call a criminal tax attorney. The IRS takes criminal tax violations very seriously, and you should too. Even if you haven’t yet been contacted by a special agent about a criminal tax case if you are notified of a tax audit, and you have ANY concerns about the contents of your tax return it’s best to contact a tax lawyer BEFORE you speak with the IRS, or even your tax preparer. Remember that your tax preparer will be high on the list of witnesses for the IRS special agents to interview, and there is no attorney client privilege which would prevent him from testifying against you. Our Los Angeles, CA criminal tax lawyers aggressively represent clients in tax crime cases.